Introducing a car so advanced it sets the new standard for premium performance. At the heart of the vehicle is the proven Tesla powertrain, delivering both unprecedented range and a thrilling drive experience. With a rigid body structure, nearly 50/50 weight distribution and a remarkably low center of gravity, Model S offers the responsiveness and agility expected from world’s best sports cars while providing the ride quality of a sedan. 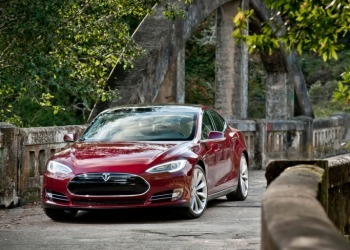 Model S Performance takes electric performance to the next level. Equipped with the 85 kilowatt-hour battery and a high performance drive inverter, Model S Performance accelerates to 60 miles per hour in 4.4 seconds. If driven the same way as Model S, both cars achieve the same efficiency thanks to the unique powertrain design. Model S Performance features an interior replete with Alcantara and carbon fiber accents. The Model S is designed as an alternative to cars such as the BMW 5 Series, the Audi A6, and the Mercedes-Benz E-Class, with an anticipated base price of US $57,400. 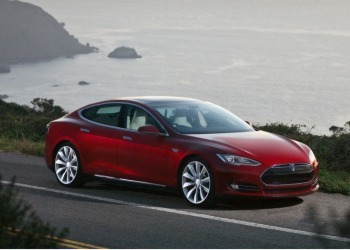 Tesla is selling the car worldwide and will introduce regional pricing closer to the beginning of deliveries in June 2012. Tesla is offering three options for battery packs, allowing customers to select from 160 miles, 230 miles or 300 miles per charge before it must be recharged.